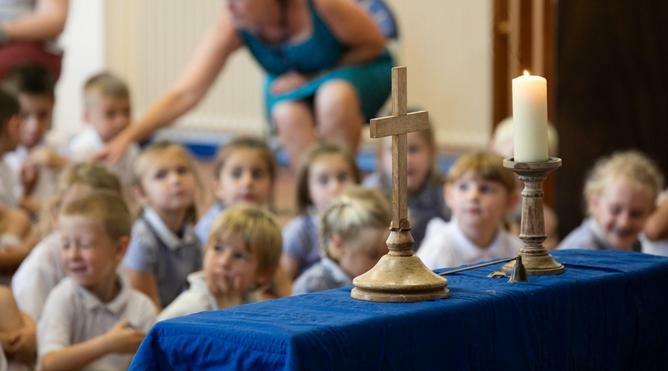 As part of The Good Shepherd Trust and a Church of England school, Religious Eductation is a core part of the curriculum. We follow the updated guidelines which were published by Guildford Diocese in 2015. Through this the children are mainly taught about the Christian faith, but also cover units on each of the other world religions. Through the Religious Education curriculum, the children not only learn about the key aspects of the different areas of Christianity and other faiths, but also think about how it may apply to their lives. In accordance with current legislation, parents and carers do have the right to ask for their child to be withdrawn from RE lessons.